This yarn is made of pure silk and is approximately an inch wide throughout. Due to its handmade nature there might occasionally be variations in width. 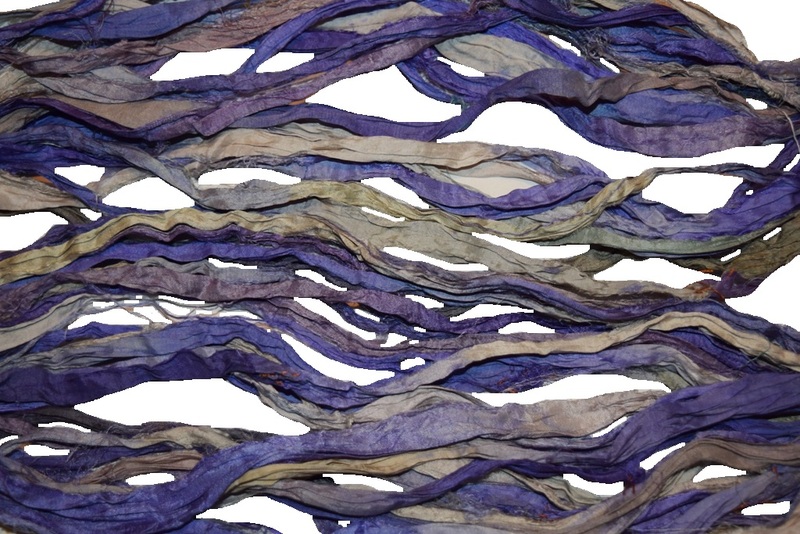 When silk fabric is cut and made into saris, wraps, and veils, there is always a bit left over. Rather than throw that waste fiber into the trash, it has been made into a beautiful, unique, soft yarn! Direct from India, this yarn is a truly recycled product! 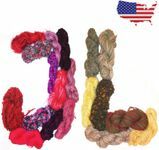 It is a bulky weight and is soft and easy to knit or crochet. Suitable for: tassels, scarves fringe,bags, pouches, cushions, embellishment.